The HDMI to DisplayPort Converter is the perfect solution for connecting devices with an HDMI output to a display with a DisplayPort input. The HDMI to DisplayPort Converter provides functionality that is not supported by other adapters that are designed to connect the DisplayPort output of a device and to a display which accepts an HDMI input. 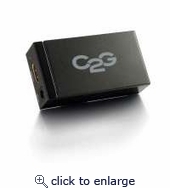 This Converter extends the life of a device, such as a Blu-ray player, which does not support a DisplayPort output by allowing it to be connected to a new display which accepts a DisplayPort input. 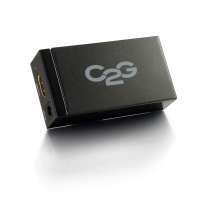 The HDMI to DisplayPort Converter supports a maximum resolution of 1920x1200 and supports HDCP.